This turned out much more detailed than I planned, and it was a lot of fun. It’s from a photo I took some time ago – enough with the photos! I aim to do some painting from life soon. This entry was posted in oil, Still Life and tagged fruit, glass, oil, oil painting, painting, Still Life, water soluble oils. 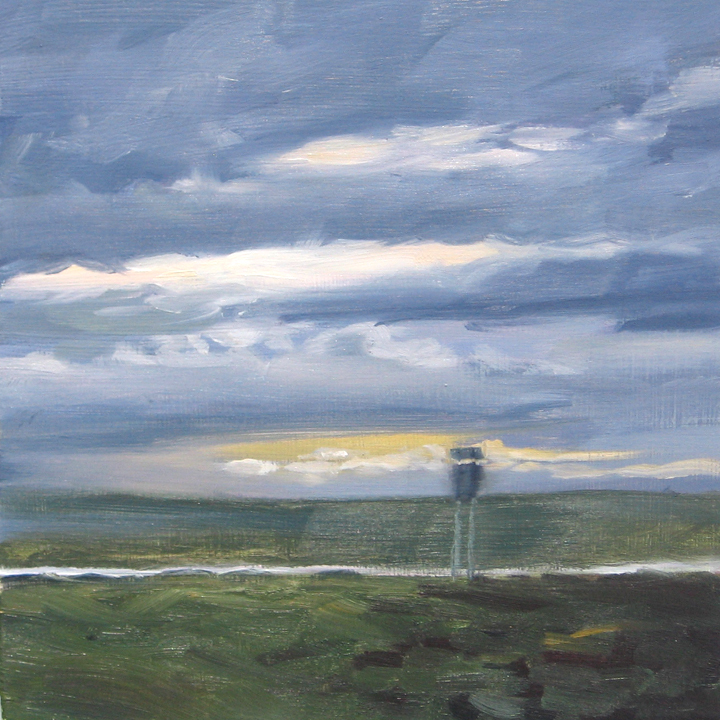 I finished two paintings yesterday – one of a lovely sunset we saw a while ago on a road trip, and one of a couple yellow pears. These were both from photos I took some time ago. Meredith said I should definitely paint the sticker on the pear, and I think she was right. 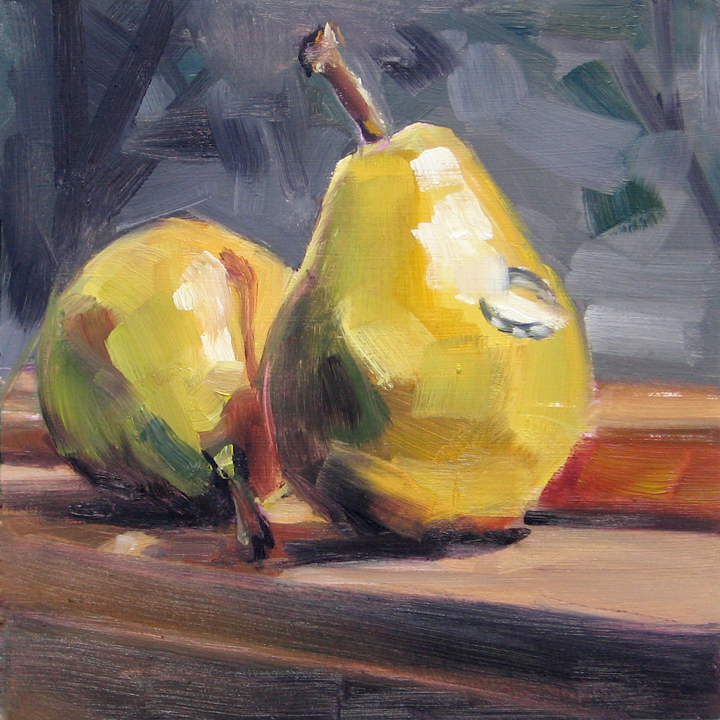 This entry was posted in landscape, oil, Still Life and tagged clouds, Deb Anderson, fruit, landscape, oil, oil painting, painting, Pears, sky, Still Life. We had a lovely, quiet Christmas Eve yesterday. I painted while the girls tried out new toys. Today we celebrated with family and had a great time. Merry Christmas! 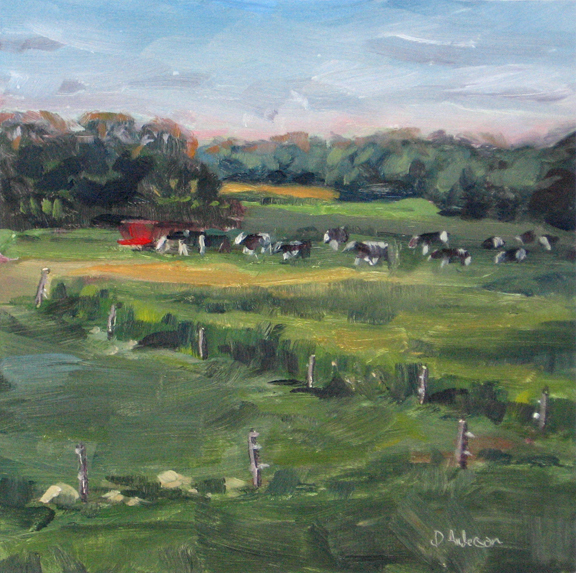 This entry was posted in landscape, oil and tagged cows, farm, landscape, Michigan, oil, oil painting, painting, water soluble oils, weekly painting. It’s almost Christmas! 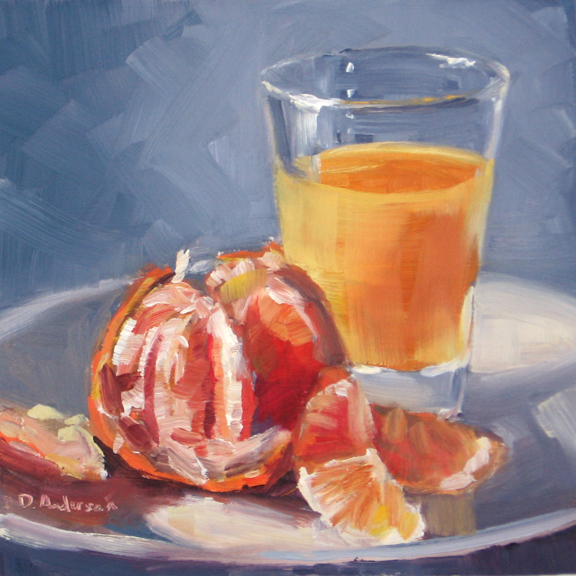 Here’s another still life with a clementine and juice. Holly drew circles which might be people or “round and round things from a movie”. Then she painted black over everything – night. 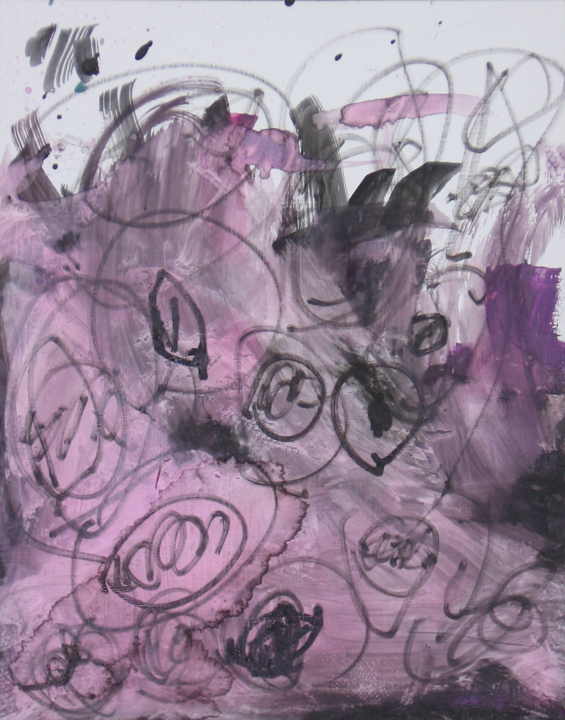 And then she took pink and purple paint and brought the dawn – wake up time. It took a while but eventually the black night paint lifted. Meredith had a dream a few nights ago about candy land, where treats are nutritious. 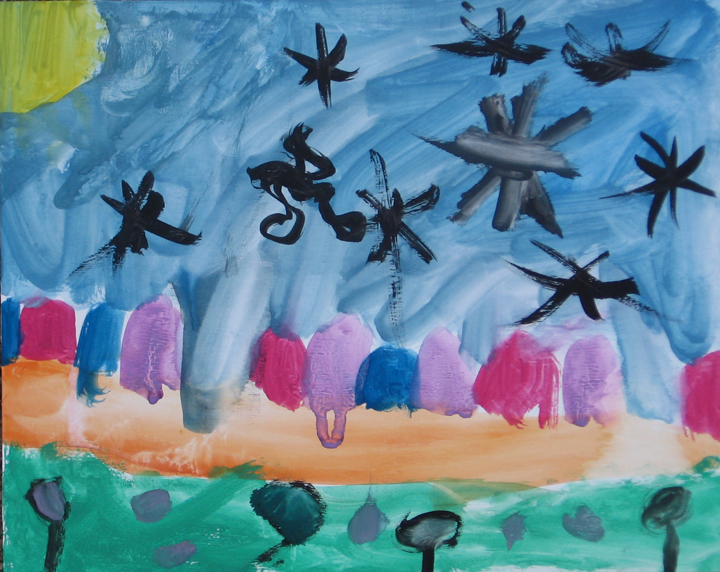 It was such a good dream, she made this painting of it. The snowflakes are black licorice. 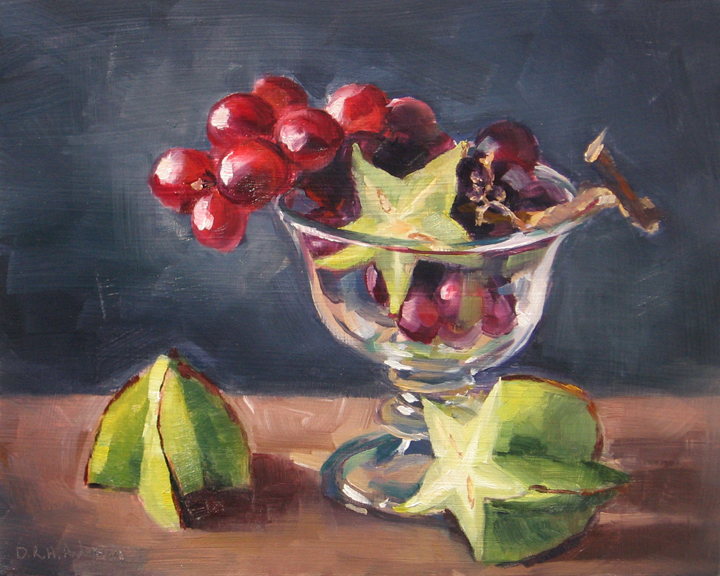 This entry was posted in landscape, oil, Painting with children, Still Life and tagged children, clementine, cup, fruit, glass, oil, oil painting, oranges, painting, painting with kids, Still Life, water soluble oils, weekly painting. This pumpkin has been sitting around the kitchen for a while now. No danger of being turned into a jack-o-lantern at this point, but pie sounds pretty good. Does the pumpkin look oddly small? It’s a big knife. I was deliberate with painting first the shadow areas, and then the light, and I think it helped. Hard to figure that out for the background, though. 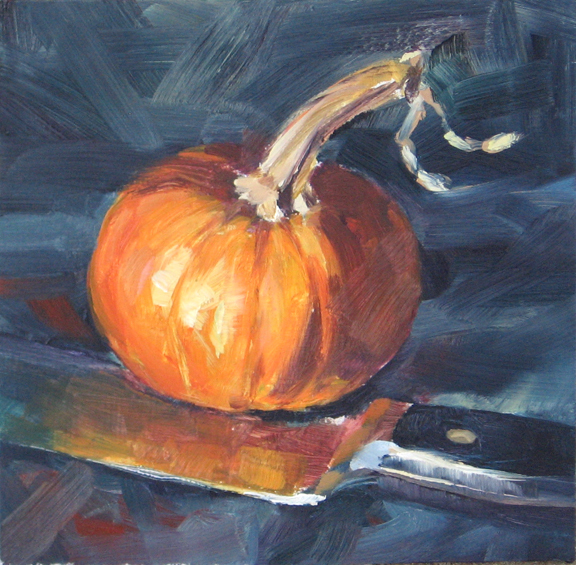 This entry was posted in oil, SOLD, Still Life and tagged knife, light and shadow, oil, oil painting, painting, pumpkin, Still Life, vegetables, water soluble oils. Last week Holly and I traveled around Glenview taking some pictures in the morning light. This is the boardwalk down in front of the Grove, a historic preserve. It was cold — the walkway was coated with frost. That night our first four inches of snow fell. 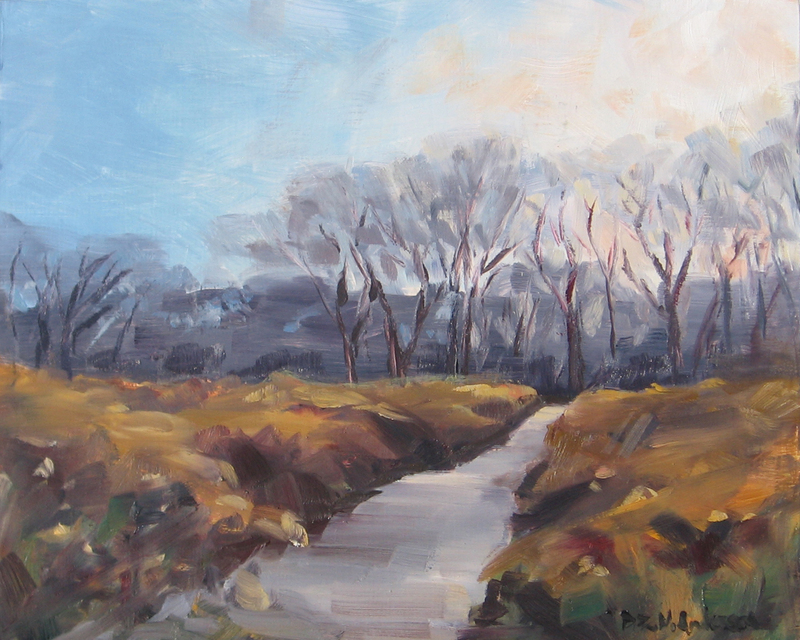 This entry was posted in landscape, oil and tagged Glenview, Grass, landscape, oil, oil painting, painting, The Grove, Trees, water soluble oils, winter.